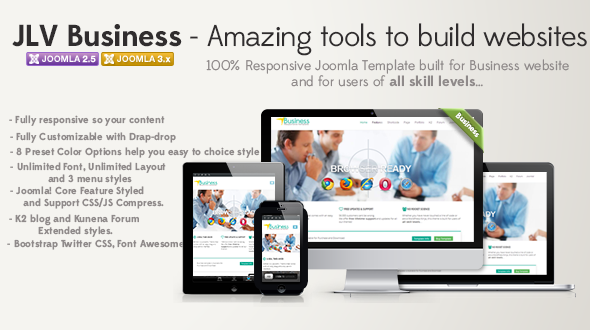 Joomla! 2.5.x and Joomla! 3.x Ready! First of all, Thanks so much for purchased our items. We were really appreciated it and hope you enjoy it! If you need support, all support will be conducted through our support forum (http://support.jlvextension.com/). We usually get back to you within 12hours. (except holiday seasons which might take longer). 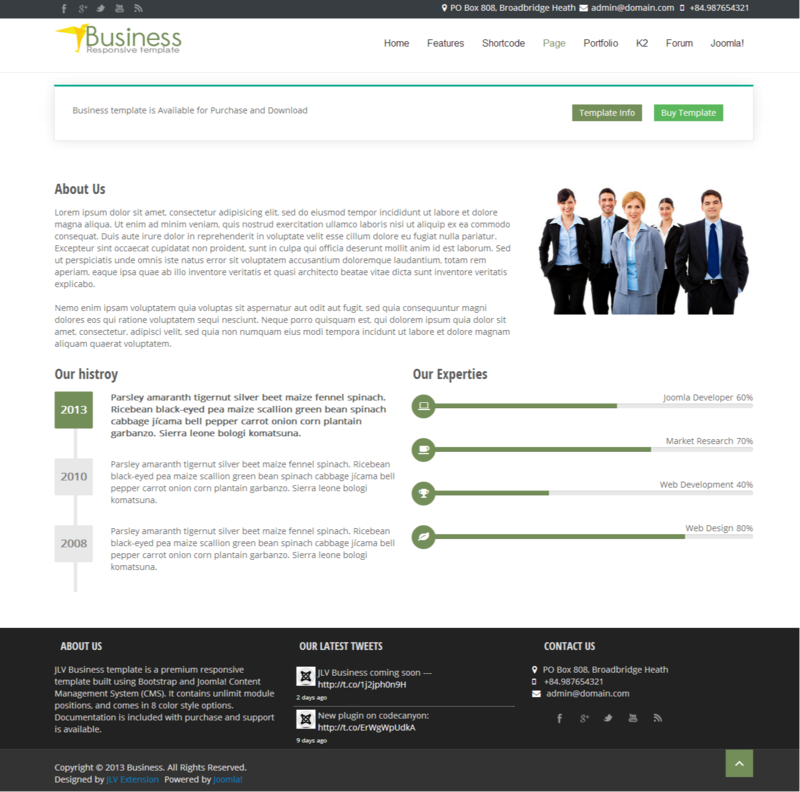 This is is a multi-purpose professional Joomla 2.5 & Joomla 3.x template. 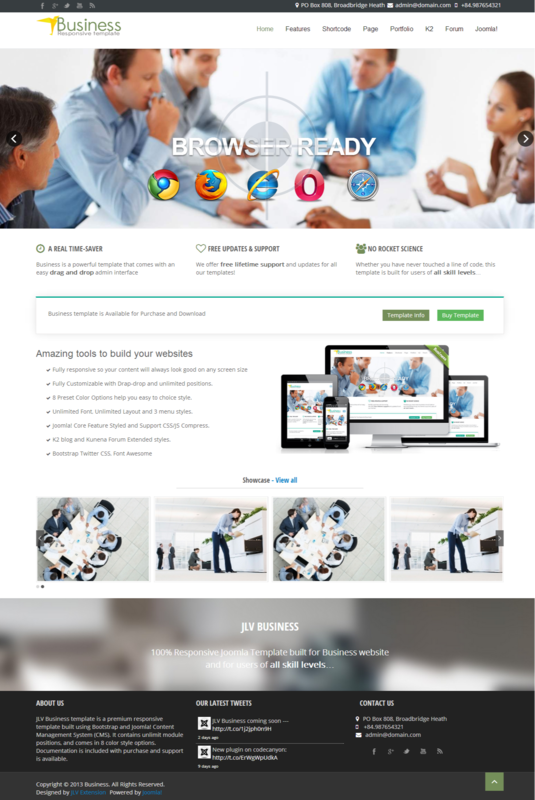 The template is fully loaded with extensions and features to help you create a stunning and slick creative, business or corporate website. Using the Revolution Slideshow you can easily create stunning animated slideshows. 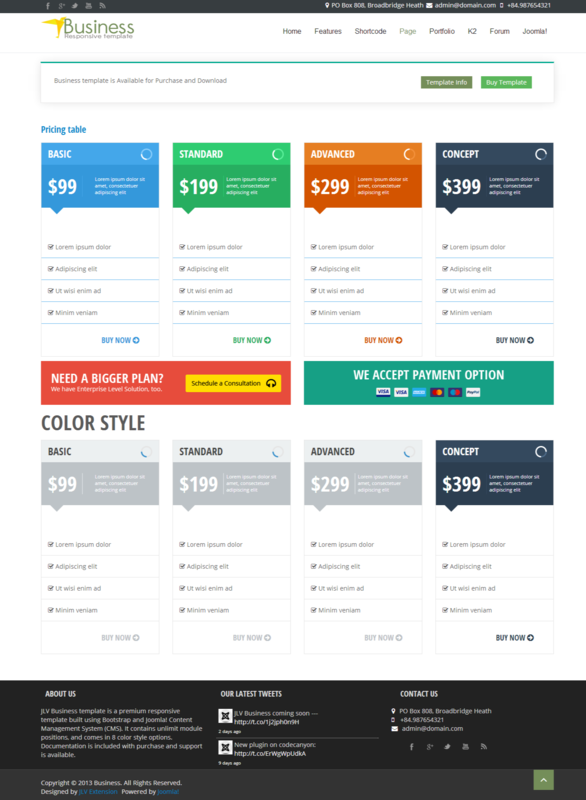 Fully Responsive it adapt to any screen size. Resize your browser window to view it!